Who in the world doesn't like french toast.....??? It is a wonderful way to disguise stale bread, dress it up and serve as new. The wonderful aroma of the cinnamon emanating when toasting the bread just fills your home with a warmth...it is just wonderful. Just to give it a new look, cut the toasts into squares and alternate them with strawberry halves and assemble them onto a wooden skewer...Middle eastern touch to the french classic, I guess!!! 1.Beat the eggs, sugar, cinnamon powder and vanilla extract. Add the milk and mix well . 2.Soak the bread in this mixture and toast on a non stick pan with a dash of oil or butter. 3.When golden brown on both sides, remove and keep it warm. 4.Proceed to finish the rest of the slices. You can use white or brown bread [not seeded ones], just make sure that it is thick. 1.Cut the toasts into squares. 2.Thread them onto the skewers alternating with the strawberry halves. 3.Serve with more fresh strawberries or whipped cream. 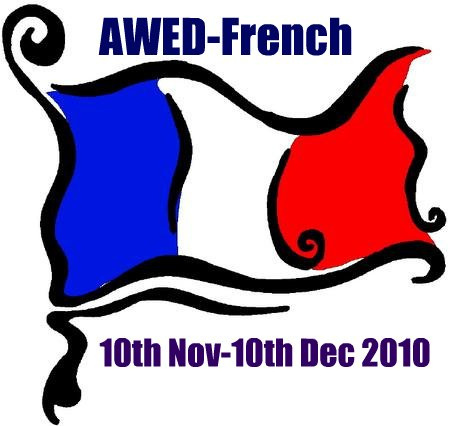 My entry for the AWED-French event by DK, guest hosted by Priya. Hi Reva, thanks dear for sending this beautiful dessert,looks marvellous..Am glad to visit ur space, btw ur cute little darling soo cute.. Thanks priya for ur wonderful comments. you are my inspiration for blogging...you are a star. Perfect idea of presentation.. the looks is so tempting..